Have you ever wondered why you gravitate towards certain colors? Maybe it’s blues or pinks or even white. Color is very much an art and science and there is a whole theory behind what each color means. We see colors in light waves – red, green, and blue. The light receptors in our eyes then transmit the message to our brain, which produces the sensations of color. As you probably recall from kindergarten, the color wheel, invented by Sir Isaac Newton in 1666, consists of three primary colors – red, yellow, and blue – and three secondary colors – green, orange, and purple, and six tertiary colors. If you draw a line down the center of the wheel, you’ll separate the warm colors from the cool colors. Warm colors are often associated with brightness, action, and energy; whereas, cool colors translate to calm, peace, and serenity. Additionally, each color has its own meaning. Let’s take a look at what some of the most common colors mean. The color red often has two polar opposite meanings. It’s commonly associated with love, passion, and Cupid. It’s why we use it so much for Valentine’s Day. On the other hand, color is also associated with fire, danger, and anger. In China, red means prosperity and happiness and is often used to attract good luck. 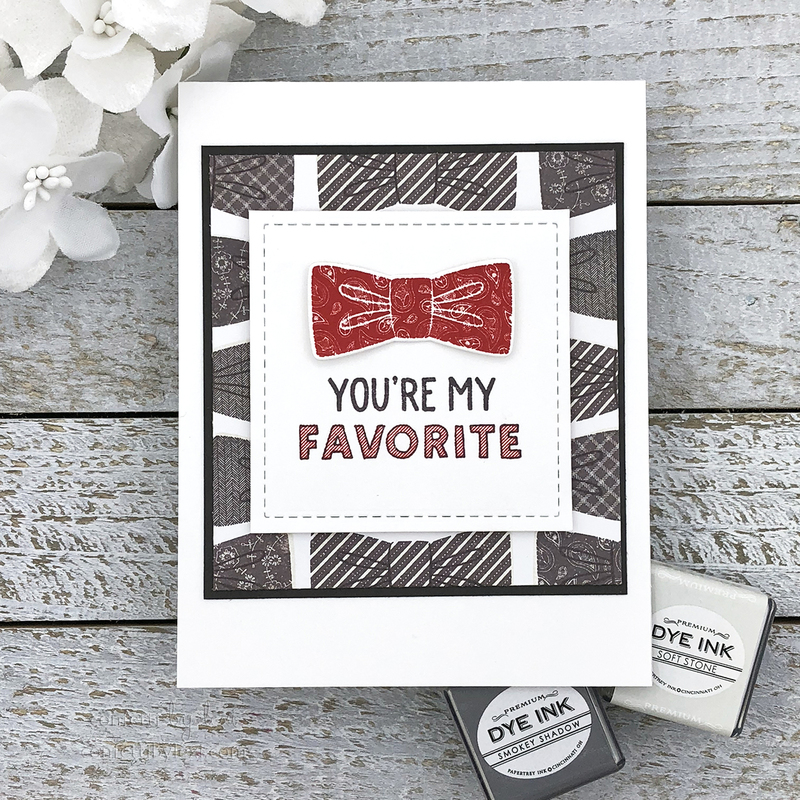 In card designs, red makes a powerful accent color, especially in cards with a romance or love theme. Orange is a bright and energetic color. It’s often associated with autumn and the changing of the leaves, but it can also be associated with creativity and movement. Named for its fruit, orange is also associated with health and vitality. Orange is great to use for your fall-themed designs and as an accent color. Often associated with sunshine and happiness, yellow is one of the brightest colors on the color wheel. Thanks to the Livestrong Foundation, yellow is also associated with hope. Using bright yellows in your card designs will give the sense of happiness; whereas, softer more muted yellows are great for gender-neutral baby shower cards. Yellow is also fun to use for flower-themed cards. Green is an earthy color that represents growth and renewal. As a cool color, it provides calming effects like blue but also has some elements of yellow’s energy. Green can also represent jealousy for some. You can use green in your card designs to display nature, growth and renewal, wealth, and stability. The color blue has many meanings but is often used to represent responsibility and strength. For many cultures, blue is associated with peace and spirituality. Light blues tend to be friendlier and refreshing; whereas, darker blues depict strength and reliability. Blue can also mean sadness. 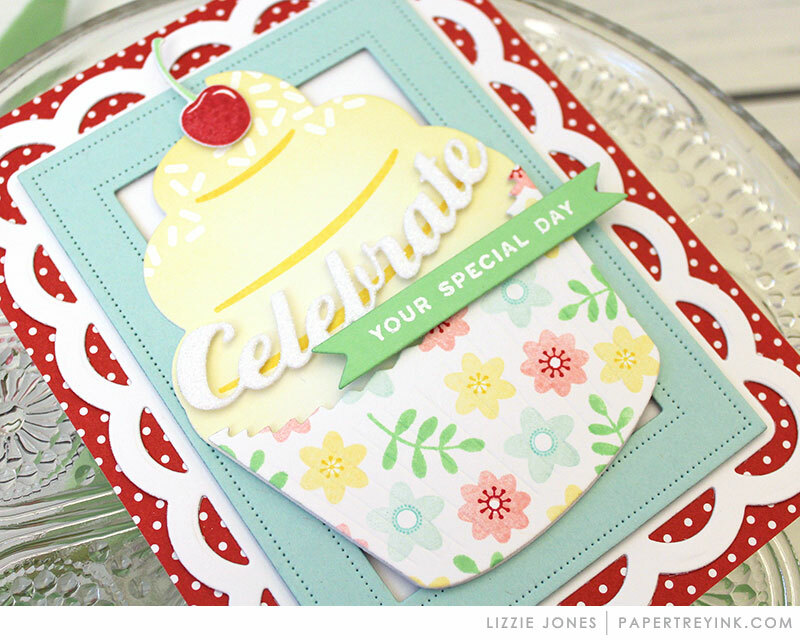 As a primary color, blue can be used in many different ways in your card designs. 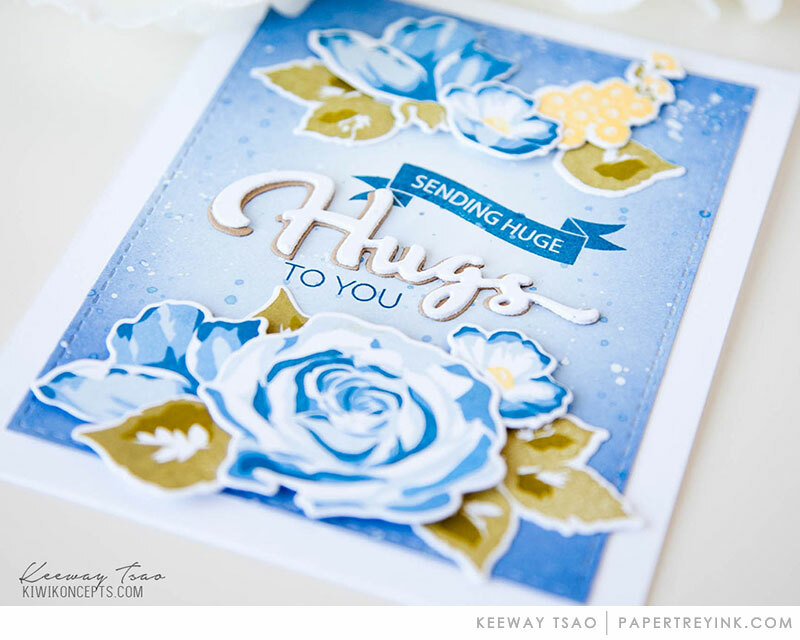 Light blues work best for condolence and get well cards. Bright blues are always fun in birthday or celebration cards. Blue is one of the most versatile colors in the color wheel. Purple is a rich color and has historically been associated with royalty and wealth. Lighter shades of purple, like lavender, are often associated with romance and spring. 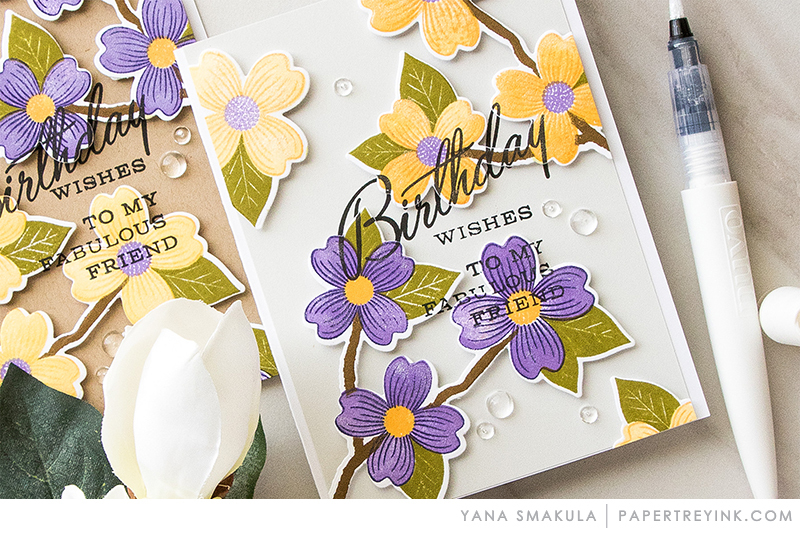 Purple is one of our favorite colors to use with our spring and flower-themes cards. We have over 55 colors available at Papertrey Ink. Tell us what your favorite color is in the comments below. I love Blue- in home decorating, clothes, etc. For stamping, aqua and pinks might be my favorite!! Purple and orange get mt attention first. I try other colours and love them, but these two colours bring me to life. Aqua Mist is still a favorite. It’s makes me feel calm and serene. So lovely. Pure Poppy. I’ve always loved Ted! I have all the inks! How do you choose? I ❤️ Hawaiian Shores and Hibiscus Burst. Fun post! Simply Chartreuse is my favorite, but I love being challenged to try new colors and combinations! I like Autumn colors, maybe because my birthday is in October, brown, red, orange, yellow and green parakeet. I love Autumn colours as well and they are used through most of my house. My favourite colour is yellow and my fav in cardstock is Harvest Gold. I love PIRPLE and bright pinks. They make me happy. I have always loved sage–like Spring Moss or Prairie Grass–for it’s soft, soothing tone. Lately, however, I can’t get enough aqua–like Hawaiian Shores! Did you know there’s no such color as purple? If you think of ROYGBIV – the colors in the color light spectrum (rainbow), they’re red, orange, yellow, green, blue, indigo, violet – violet being what we call purple. When studying color for a certification, the president of the program wouldn’t let us say purple! One day he slipped and said it though, much to our delight. I have always loved shades of greens. I love the blues. I have blues as accents all over my home. They complicate my neutral home with peace and calmness. Pink is #1, Aqua is #2. Hawaiian Shores always makes me happy! I’m a red girl. I’m a Kansas City Chiefs fans and more importantly, a Kansas Jayhawks fan. Crimson and Blue. But my favorite Papertrey color is Berry Sorbet. Cannot get enough of that beautiful color! For as long as I can remember, I’ve loved purple! I was teased because my siblings thought it was because Donny Osmond wore purple socks on their variety show way back when. Nope, just was attracted to the color and I haven’t waivered since. It’s gorgeous! I usually reach for the pink range of colors when card making, probably because I almost always work with floral designs. My favorite color in the garden is pink as well. Berry Sorbet is among my favorite color choices as well as Pale Peony. Brown is my favorite color! Any shade or tone. Think of all this wonderful colors, brownies, *Dark Chocolate, coffee, cognac, camel, *Honey Nut, *Classic Kraft, cream. Oh gosh, I could never pick just one. I love color color color!!!!!!!!!!! Is rainbow a color? I pick rainbow. Pastel hues, bright hues, rich deep jewel hues, and frosty wintry hues, I love em all. Purple is normally my favorite color, though the Autumn Rose ink is by far my favorite from PTI! All time favorite PTI color…..Hawaiian Shores. #2 fave is Hibiscus Burst. Ever since I was a child (and that was a long time ago) I fell In love with green. As I got older and started to stamp in the early 90’s I developed a love for the purples. All of the hues. 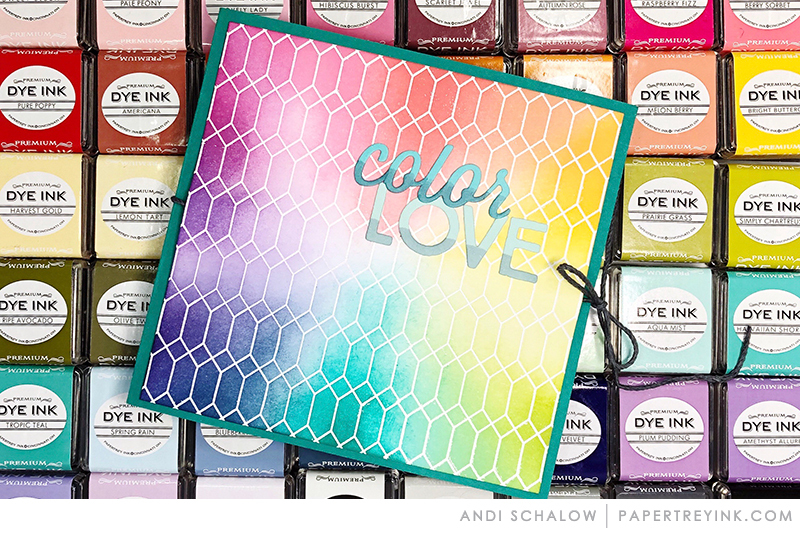 Luckily green and purples make great flower colors since I love flower stamps. I have tons of flower stamps and dies. Ok, so my name is Carol, so obviously by favorite color is coral . . . .
Blue is my favorite color, with red a close second. Love love the blue-greens. Turquoise, aqua, robin’s egg blue, I love them all. Maybe that’s why I love the seashore. Or maybe my love of the ocean is why I love blue-greens! I love purple. All shades of purple. It just makes me happy. Purple. Green. Purple. Green, I can’t choose between the two. I love them both equally! My favorite Papertrey color is Hawaiian Shores. Followed closely by Pure Poppy. My favorite colors are on the cool side of the color wheel. Pink is at the top of my list & I love both Sweet Blush & Lovely Lady! I do find it’s really fun to use different colors depending on my project. Fun post! Blue greens and corals, tropical hues! Thanks for sharing this great primer. My favourite colour is aubergine. My favorite PTI colors are Green Parakeet, Hawaiian Shores, Raspberry Fizz, and Pure Poppy. I should say, I love your Pure Poppy card stock, but my Pure Poppy ink isn’t the same color as the card stock, so I use SU’s Real Red for red ink. And I love, love, love your white card stock. My favorite color scheme is white + anything. Oh, give me blue any day of the year! I love all the many variations and cannot get enough of it — in clothes, cards, decorating (however, my house is not all blue – haha!). Truly, it’s been my favorite color all my life. My mom used to try to get me to wear another color. Any shade of blue makes me happy! And I really love turquoise especially now. Blue is my absolute favorite, but I like soft shades of aqua, pink, green and lavender as well. Orange is not a favorite, although I like it for fall cards using leaves or pumpkins. When I’m in a bold mood I’ll favor the jewel tones of green, purple, maroon, blue and yellow. Blush and Peony are my favorite colors. Subtle and exquisite. Sometimes soft is so beautiful to look at. I’ve always been drawn to the tropics. So shades of blues and greens are my fav. Tropical teal is my favorite Papertrey color. My favorite Papertrey Ink colors are Aqua Mist and Hawaiian Shores. It’s hard to pick a favorite! As I take a look at my ink pads, the colors that I have the most of are blues and browns. I have always loved purple. 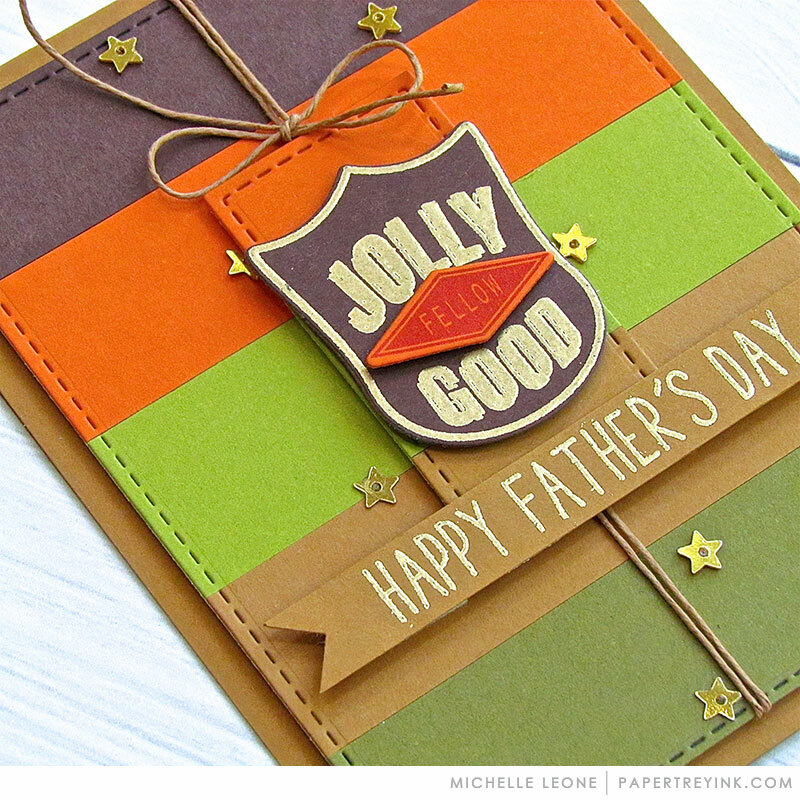 When I am making cards though I tend to grab orange or pink. I’m all about pink. I think I own almost every shade of pink that Papertrey Ink makes. Completely depends on my mood…but consistently I return to lilac/orchid over and over….like Lavender Moon. Absolutely love the colour red…Pure Poppy is my favourite. Definitely BLUE almost any shade, although I do like many other colors but always gravitate towards BLUE! oh boy … gray. Never competes, always blends well with others. add just a touch to any other color, and it will make that color more pleasing to my eye. p.s. PTI smokey shadow gray has been my favorite ink since my sentimental journey began! OH MY, I LOVE limeade ice! It is the perfect shade of green! But then, who can resist Raspberry Fizz for a pop of vibrant color? Enjoyed your colorful information today. My favorite color is blue as I generally lean toward cool colors…with warm color contrasts. For crafting, however, I love them all! Being from Arizona, I am in love with the gorgeous warm colors such as Canyon Clay, Pure Poppy, Hawaiian shores, Simply Chartreuse and more. These colors makes me so happy and fill me with so many cherished memories. Thanks for this insightful post! Great post! I find my favorite colors for clothing are somewhat different than my ink colors. However, jewel tones rock my world and pastels not so much. Purple was always been a favorite but now lean towards Amethyst Allure, Hawaiian Shores and Raspberry Fizz. I lean towards pink, but I also adore lemon tart and mint julep.